OC AmeriCorps Alliance: EXTRA! EXTRA! Wanted: A Few Good Citizens.. EXTRA! EXTRA! Wanted: A Few Good Citizens..
We are actively recruiting for our upcoming program year. Teach kids that it's "Hip to Be Fit! : Mind, Body and Soul!" 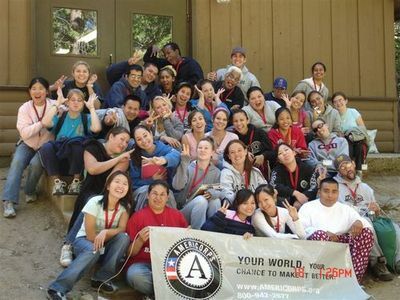 Our AmeriCorps members provide homework assistance, build literacy skills in kids, lead character clubs, or show kids how to live a healthy lifestyle. It's fun! You know you want to join! Deadline is October 1st. To find out more about how to apply, visit the OCAA Website.